I'll see if I can't get a better-focused picture for this guy. Unfortunately I don't play it a lot because it chews through strings. Maybe I have to develop a lighter touch. I always thought that the Kahler was an aftermarket mod, because of the way the finish is cracking around the nut-lock but I've had some indication that you guys were installing them in the factory since folks really wanted floating tremolos in the early '80s. Last edited by ChrisClark on Sat Feb 10, 2007 3:15 pm, edited 1 time in total. 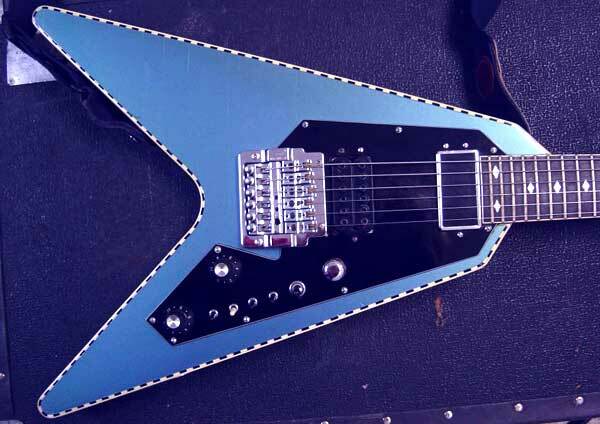 I remember building this guitar for I believe a guy in Plattsburg New York. He had a bar band and played very well. The Kahlers were installed at the factory. 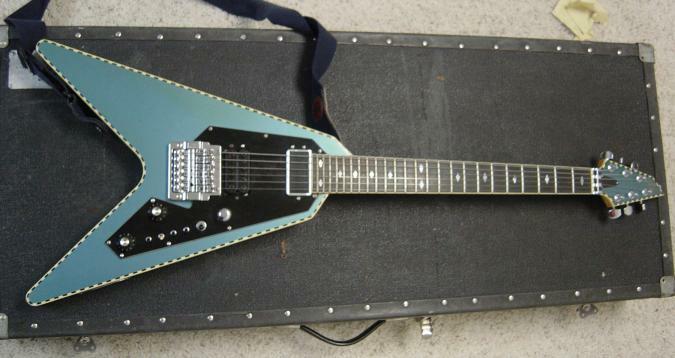 EDIT: Recent guitars with features like this guitar have been ID'd to about 1983. 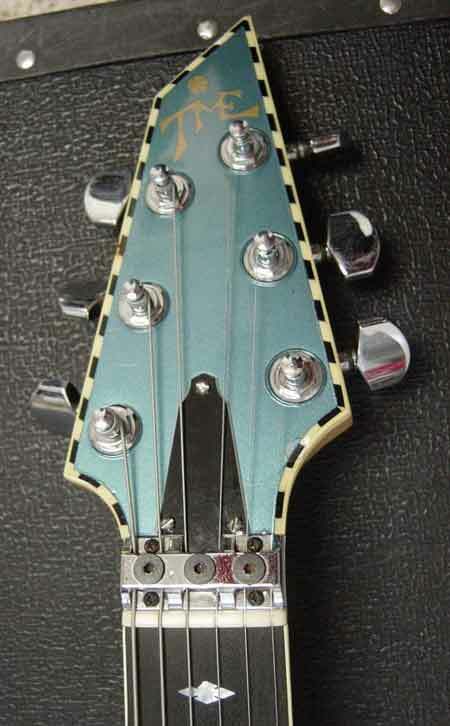 Here's the headstock complete with the 'FlightStrip' binding. Looks like somebody liked to smoke cigs?